The VH202 is designed to circulate heat specifically around your personal space - making it perfect for desktop, tabletop or under desk heating applications. The Personal Vortex Heater uses Vornado\x92s signature Vortex Action to wrap you in warm comfort, yet occupies less than 8\x94 in any direction. Boasting deep pitch blades and the Vornado AirTensity grill- the Personal Heater circulates air around your personal space in similar fashion to how Vornado Whole Room heaters distribute heat throughout an entire room. The VH202 features 2 heat settings- high outputs 750 Watts, and 375 on low - giving you control of your heat. A \x93fan only\x94 mode allows this circulator to provide comfort even on temperate days. The Personal Heater features a cool touch case that doesn\x92t get hot even after extended operation, as well as a tipover switch that immediately cuts the heat and fan if the heater tips. "Leaders in air flow technology." Beyond a marketing message- this statement defines Vornado's past, and charts the course for the company's future. The Vornado story begins with an inventor's vision to improve aircraft design in the early 1920's. Ralph K. Odor began to experiment with unique aerodynamics that increased the efficiency and performance of standard propeller planes. After many patents and highly successful prototypes, Ralph realized that his findings could change the inefficient electric fan designs that dominated the industry at the time. Ralph met O.A. Sutton, an entrepreneur from Wichita, Kansas and refined his concept for a new "air circulator." Initial plans to build the new "Vornado" fans were delayed by the complete focus of manufacturing resources needed to support World War II. As the war drew to a close in the mid to late 1940's, the O.A. Sutton Company produced the first Vornado fans. These fans were well received, differentiated from other brands with their unmatched power and unwavering performance. The early "Vornados" served as the foundation for the company's reputation for innovation, product performance and durability. In the years following the Second World War, air conditioning became increasingly accessible to the average American. Many believed "fans" were destined to move from living rooms to museum display cases - a relic of a bygone era. This would not be the case, as it was made clear throughout the decades that any climate control system could be supplemented and improved with the use of high performance fans or heaters. After a generation full of innovations, Vornado was about to completely reestablish customers' expectation of what a "fan" could do. Like the jet engine following the propeller, "fans" were destined to be promoted to a new level of performance. In 1989, a new Vornado company was founded in Andover, Kansas - a suburb of Wichita, known as a worldwide hub for aviation design and manufacturing. Inspired by the advanced propeller and jet engine designs that were common products of the community, Vornado engineers created the first "whole room circulator"- taking the traditional fan beyond its previous limitations. These "circulators" benchmarked the successful design behind the Vornados of the 1940's and improved upon it- adding leading edge design, engineering and materials to the equation - with truly remarkable results. Vornado's unparalleled performance can be traced to its signature vortex action; the result of four proprietary components found only within Vornado technology. Initially applied to air circulators and heaters, Vortex Action allowed for Vornado products to affect not just the air around the unit like traditional fans and heaters, but to evenly distribute all of the air throughout an entire room. The effectiveness of these first products propelled the new Vornado back into the position as a leader in air comfort products. Extensive research and development demonstrated that "Vortex Action" could dramatically impact the performance of other products beyond air circulators and heaters. The same principles that create even distribution of air and temperature are the drivers behind the company's newest offerings. Vortex action elevates a Vornado Humidifier's ability to evenly distribute moisture levels throughout a room. 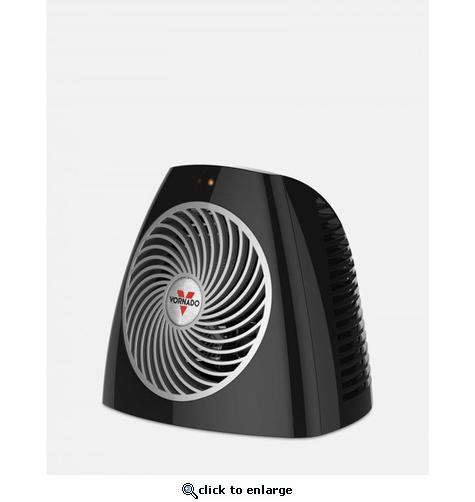 Because air cannot be filtered unless it is first moved, Vortex action makes Vornado's Whole Room Air Purifiers uniquely effective.